Everyone wants a great smile, and your orthodontist is a specialist in making your smile the best it can be. Straight teeth not only look good, they also give you a good bite. Your upper and lower teeth fit together the way they should, so it’s easier to bite, chew, and speak. Do it yourself treatments can cause lasting damage. Whether you’re considering clear aligners or traditional braces, only seek treatment under the direct supervision of an AAO Orthodontist. 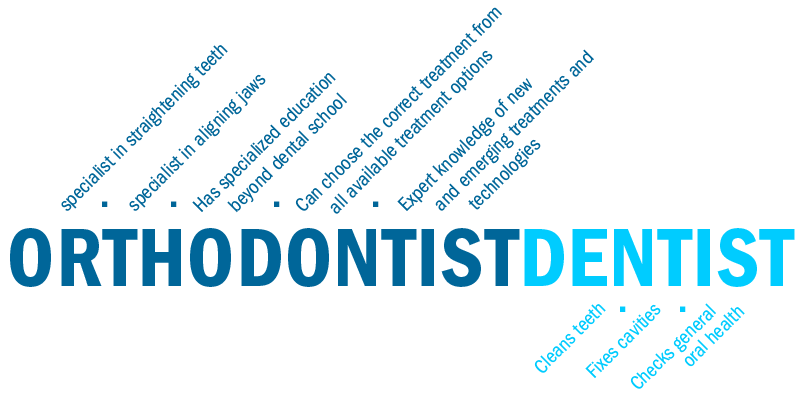 6 percent of Dentist are Orthodontists. The American Association of Orthodontists is urging consumers to beware of Internet videos and websites which encourage people to try and straighten their own teeth. Moving teeth is a medical procedure and needs personal supervision by an orthodontist. Please be wary of any suggestions to move teeth with rubber bands, dental floss, or other objects ordered on the Internet. Moving teeth without a thorough examination of the overall health of the teeth and gums could result in the permanent loss of teeth, which may result in expensive and lifelong dental problems. Orthodontists receive two to three years of specialized education beyond dental school and are specialists in straightening teeth and aligning the bite. Please call 405-330-9911 to schedule an appointment outside of normal hours. Nanda Orthodontics has an average rating of 4.4/5 from 29 reviews. Copyright © 2018 Nanda Orthodontics. All Rights Reserved. Sitemap.